Tim Elverson starts 2019 at the head of what is arguably one of the most exciting domestic squads assembled for some time. Backed by increased sponsorship – no mean feat in these turbulent times for cycling sponsorship – it’s a squad that our British Conti Insider thinks will be one of the powerhouses on the domestic scene this season. It’s the largest British Continental squad that we can recall, one that contains a mix of established riders and riders of significant potential that we have tipped to achieve big results. Elverson has taken the team a long way in its short existence. Established in 2015 as elite-level team Pedal Heaven, Elverson has gradually grown the team to establish it as one of the domestic scene’s key teams. This season, Elverson has planned the team’s most ambitious race calendar yet, one that will see the team regularly competing at a high level, often on a dual or even treble race programme. First up on the race programme is the Challenge Mallorca, which starts today [31 January 2019]. A series of four UCI 1.1 one-day races featuring top class riders, including world champion Alejandro Valverde and super-sprinter Marcel Kittel, it will provide a stiff – but nonetheless very exciting – early season test of the team. I interview Tim on 19th January, two days before he flies out to Calpe to join the riders on the team’s winter training camp. He has a cold and is nervous about passing on his germs to his riders and putting a dent in their early season preparations. But his excitement about the season ahead is also palpable. When I introduce myself as ‘essentially a bike fan’, his enthusiastic reply is ‘aren’t we all’. As if it to say, I’m a geeky bike fan too. The feeling I get throughout the interview from Elverson is a giddy sense of excitement about his new squad, the riders he’ll be working with and the races they will soon be competing in. He exudes the kind of ‘butterflies-in-the-stomach’ feeling that any armchair bike fan might have if they were about to start a year managing a team of very talented bike riders. He’s clearly a man very much in love with the sport of bike racing. This is the first part of a two-part interview with Tim. Here, Tim talks about his approach to coaching the riders, the team’s early season races, his new squad and his philosophy about squad balance, and the team’s provisional race programme. How is the Calpe training camp going? Ryan [Christensen] is in New Zealand until the end of March but otherwise we’ve had everybody with us. Which has been good for the camp. The majority of them have been there since about the eighth of January. A few have gone in for a week, come out for a week and gone back for a week today [19th January]. So right now, there’s 14 of them there. Tennant’s not there because he’s about to go to Berlin for the 6-day race. And obviously the two GB lads [Ollie Wood and Charlie Tanfield were preparing for the national track championships] and Ryan aren’t there but otherwise everyone else is there. Have you got a coach out there or how does the coaching work with the riders? The majority of the riders are coached by either myself or Simon [Holt, the assistant DS] who also works for the team as a DS. Simon obviously is an ex-pro himself and we probably coach between us about 12 of the 19 riders. I think I have 5 and he has 7 at the moment. And then the other guys are coached by coaches that we’re comfortable do the job well. There are lots of very good coaches out there, so it’s not a need for us to want to coach a team and be possessive about it, it’s just a need for us to make sure they’re doing the right thing. So if they’ve got a coach, they’re comfortable with and it works for them and it’s working fine, if results are showing that and we can also check what they’re up to with the use of Training Peaks, et cetera, then we’re more than happy for them to carry on with their own coaches. But if they haven’t got a coach or we feel their direction’s been a bit lost then we’ll get involved and then take it over. I tend to coach the youngsters and it’s more because I’ve had good success with bringing guys out of the juniors and transferring them into the seniors. So I tend to take that on. My coaching wouldn’t necessarily work on a wide scale because I don’t ‘frill it up’ and it wouldn’t be ideal for the general public, but we have very specific stuff that we do – and it’s not necessarily easy – but the guys get on with it. Simon’s out there now, but we structured a programme from the beginning of January for the guys that we coach. We touch bases that they’re all on the same sort of schedule so the training camp could go similarly for everyone. People have different efforts, different types of riders have different specifics. Through the winter they work on weaknesses and obviously people’s weaknesses are different, so it’s not exactly the same, it’s tweaked, but we try to get a bit of alignment during this month. Because obviously part of the reason for being out there is also to ride together, to get to know your teammates and camaraderie, so if you send them all of on different schedules that’s very hard. So we then make the schedule that we’ve got for our guys available to the other riders and coaches, then they try to make it so that two-thirds of it is also in line so that everyone can ride together. But then this last week we’ve completely taken ownership of the training and it’s very structured. Simon is there now going through this last week with them but we will be doing mock races, lead-out work, hill repeats, et cetera. Then when I go out on Wednesday there’ll be a continuation of that and they taper out ready for Mallorca. So you’ve got a team going out to the Challenge Mallorca, which must be pretty exciting I guess? That’s a fantastic race and we’re quite proud to have got in it to be honest. I remember years and years ago being in Mallorca watching this race and thinking, “Cor, wouldn’t it be mega to do it.” Just because I know the roads well and to have got in it I think we were a little bit surprised. Although I try not to use the word surprised about anything because we’re working hard to get to where we want to be, so I reluctantly use the word surprised. But I did enter it thinking there’s a good chance we won’t get in it. So when we did we were well pleased. There’ll be fantastic riders and teams there but I think we’ll give it a good crack. The guys know which riders have been selected to go there already. There are a couple of reserves and a couple of people that will be finalised this week. It’s difficult because we’re not taking some of the guys that are doing the Perfs [Perfs Pedal race, 10 February] when we get back. Although the Perfs is only a local National B race, it’s a lot of pressure. I don’t go there with what I consider the ‘nailed on’ six so we can destroy the race. I go there with six guys that are basically local. I try to use youngsters and I try to use people that are new to the team. If I have an ex-winner, they like me to put him in because it’s good for PR, so I will always select someone if I’ve still got them. I mean in this case, Alex Paton won it last year, so he’s going to be doing it, but everybody else is local, young or new to the team. So it’s quite a lot of pressure because although it’s just a relatively small race everybody looks to us because we’ve won it for quite a few years in a row, so we have to make the race. And if you’ve got five under-23s who might be new to senior racing that’s not easy. Then add the fact that every single rider in the race is trying to beat them and add the fact that we’ve won’t it for many years, there’s a lot of pressure on them. Those guys, it’s quite a hard place to start and expectations are high. Whilst a couple of those would be suited to Mallorca, and it would be a good experience for them to do it, I want them to come back, adjust to the cold weather and prepare for the Perfs. Because I don’t want them to have a negative race because we raced them in Mallorca and they came here and had a hard time. I want them to have the best chance they can of doing the best they can. So there’s a couple of people that possibly could do Mallorca that are actually not doing it because I want them to get back and get used to the cold because they’ll have been in Spain for three weeks. When you come back to weather of one or two degrees it can be a bit of a shock to the body. And if they did Mallorca they’re coming back literally three days before the Perfs so I’ve got them back the week before. So the team that’s going to Mallorca is a bit of a blend, some people are there purely for the mileage, the race mileage. I’ve got a couple of guys that are really trying to peak for March for the Le Samyn. So those guys will be doing a bit more in Mallorca but not necessarily trying to get a result because they’re not going well. But a couple of the climbers are going pretty well. A couple of the sprinters are going pretty well, so I’m optimistic that on a couple of stages we’ll be able to get very involved. But you know, it’s a class field. It’s a bit of an undertaking early season for the mechanics and the staff and everything because it means you’ve got to have race bikes ready to go now. 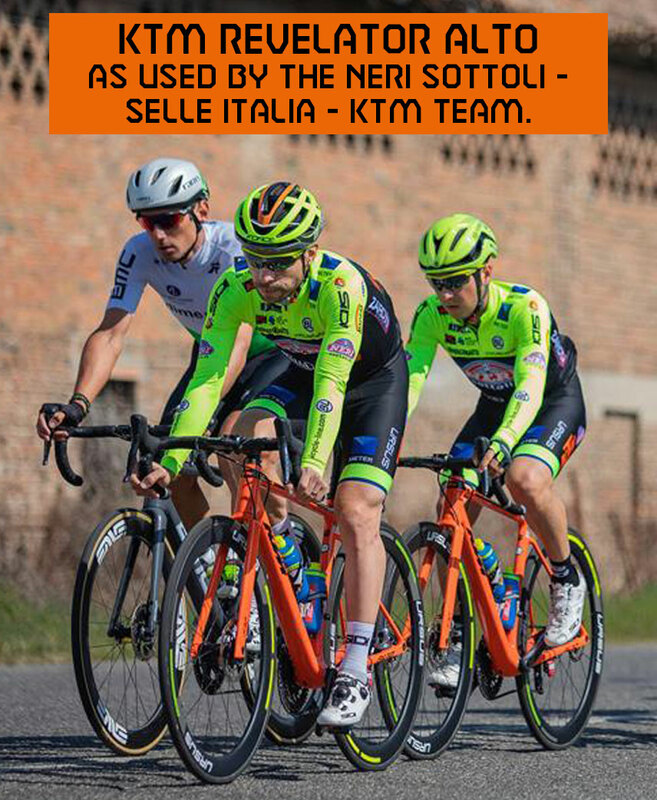 It means you’ve got to have kit branded and ready to go, so there’s no doing the Perfs in black kit [which the team have done previously – Ed] because it’s a UCI race so we have to have kit. Fortunately, DHB have come through and our kit got delivered last week so we will be on a new kit in Mallorca. You’ve got the largest squad I think you’ve ever had this year? Why is that? I’ve got three guys more than I’ve had before but I’ve got quite a lot of young guys so you have to rotate them. I’ve got probably a third more races in the calendar compared with last year. So we’ve got a lot of double weekends, we’ve got a lot of weeks where we’ve got three races, so I think there’s plenty of opportunity. I can spread it round so the youngsters don’t get over-raced. Logistically it’s harder but it’s a balancing game. I didn’t set out to have that many but when things were going wrong with some of the other teams, there’s a couple of guys I picked up just because I didn’t want to leave them out. They were looking for rides and they’re people I know and their ability fitted voids that I still had. So I ended up expanding. I’ve got a couple of GB [track] lads, you don’t necessarily have them for that much of the year. Although I might end up with them a lot of the year, you have to take that with a pinch of salt, because you might have them none of the time. You don’t really know until it all sort of structures out and you know their selections and things like that. So I can’t go, “Right I’ve got 19 riders.” There’s a good chance I might have 16 or 17 all year and I’ve never, ever had a year where you don’t get someone injured or someone ill. So I’m sure it’ll all pan out. The guys are all pretty excited and most of them have had their seasons fairly well laid out so they know they’ve got quite a lot of racing. We’ve got a strong team, we’ve improved from where we were last year. We’ve still got a good balance, the average age is pretty young still. That’s cool. I mean that’s what I set out to do because that’s what I want to achieve. And obviously Wiggins’ team will be young but that’s because they don’t have anyone dragging the age up [because they are a development team], but I have people like Tennant and Tom Stewart because in my opinion to get the most out of the youngsters they need to work off the experience of a few older guys. So anyone that’s over 25 is in my team for a very specific reason, otherwise I look to keep it under 25. It doesn’t mean I wouldn’t have a 35-year-old but they’d have to have a very specific reason for being there. For me, Tennant’s my captain of the guys. He’s not always my road captain but he’s in charge of the squad. If anyone wants to talk to him about something that they don’t want to talk to me about he’s the ‘go to’ man – he’s invaluable for me. But as I say he’s not necessarily my road captain because sometimes I might be racing for him and I don’t like my road captain to be the guy we’re trying to get a result with. But you need the experience is what I’m saying. Wiggins do a great job and they’ve got some fantastic riders, but I think to get the most out of all your youngsters I think you need a bit of experience as well. Do you see yourselves as a development team? Yeah, very much so. I see ourselves as a development team and that’s what Canyon see us as and the Harry process is kind of fruit of that, because the whole point when we started was to try and give a place where we could feed riders to the World Tour. But that’s only ever going to happen if you’re good enough, and to be good enough you need the right balance in my opinion. So yes, we’re a feeder team for the World Tour, if the riders are going well enough. But equally, I see myself as a stepping stone to go World Tour. I mean Stevie Williams [now with Bahrain Merida] was with me for a few years as well, he’s obviously World Tour now. And that’s what I see as my role. But to do that we need to be the best we can be. My target was always to be the best conti team around Northern Europe. But the version of ‘best’ is hard to explain. You can’t say it’s best because we’ve got the most points, you can’t say it’s best because we’ve won the most races, you can’t say it’s best because we’ve fed the most riders to World Tour. It depends what you’re trying to achieve, if you like, but I want to have a place where juniors want to come to because they know we can teach them how to be a professional, they know we teach them how to race at the right level, we know we can open enough doors for them that if they’re capable they can step through the door. To do that, I feel you need the balance because it’s not an enjoyable environment if you’re not winning races. The buzz of learning and growing happens when in my opinion you’re winning races so you need riders in the squad that are capable of winning races and that isn’t always the under-23s. So I think it’s good to have a blend. I’ve got probably slightly too many riders this year but there were reasons why and how – what caused all of that. I think next year I’ll clip it back a little bit. I never really wanted more than 15. But yeah the blend of where we are is about right. I don’t actually want an average age target, but I do want it to remain relatively low. I try every year to take on a first-year. This year I’ve taken on one first year but I’ve got four second years and they’re all really good. When we start doing the under-23 specific races I think we’ve got a really, really strong squad. You’ve got five under 23s haven’t you? Is that right? Six. I’ve got Callum, Louis, Charles, Jacob Vaughan, Matt Bostock and Alex Colman the Belgian. So I’ve got six which is intentional because most of those under-23 races need six rider teams. Tim Elverson with the Robert Jon McCarthy and Jacob Hennessy in Calpe. So you’ve got the Challenge Mallorca and then you mentioned Le Samyn. How is your race programme starting to shape up? We know what we’ve entered, we have got quite a lot confirmed but most of them are races that we’ve done before. In Holland and Belgium, we’ve done enough now that they’ll accept us in the race even without that confirmation. In France, we still have to battle a little bit because we haven’t done as much in France. But once the rankings come out I think we’ll slide in. I mean, we’ve done our crude calculations and we think we’re a reasonable amount higher than we were last year in the rankings. So it should be that it’ll go in our favour as soon as they come out. But you never really know with organisers, there are also other reasons why you do and don’t get in. So are you going to be doing a few under-23 races throughout the season then? Yeah, we’ve got quite a few, I think at the moment we’ve got about seven under 23 races confirmed. The only reason we’re not pushing our calendar out there – I mean you’ve done well to find out a lot of what we’re doing [see our race calendar here] – but we haven’t pushed the calendar out there because so much of it isn’t confirmed and I don’t want to look like a wally when we stick a good calendar out and then we don’t do some of the races. So we’re just waiting for them to confirm but Le Samyn did confirm last week which again is a really exciting race. I’m super pleased that we’re doing that so that’s pretty cool and Tom Stewart’s very excited about that. That’s his first target race. We’ve just started a French DS as well so that he can help us in the French races. Mainly because my French is zero. I’m literally in the process of registering a French DS as we speak with UCI so that he can help us out. And also I think it will help us on a couple of French races we’ve entered in terms of getting a start. With people like Tom Stewart on the team now, is there going to be more of a stage race focus? Is that something you might be doing? We have tried to do a few more stage races. Max Stedman and Dan Pearson also both swing themselves much more towards a stage race. So yeah, we have entered more, we’ve got in some of them, some of them aren’t confirmed yet. But we will do three or four more than we did last year. Personally, I’m a one-day classics sort of a guy, so I will be doing most of those. Simon likes a good stage race so he’ll do most of those. Our budget has expanded for this year but I basically put myself under the same budget pressures because I’ve just taken on a load more races. But I do feel that the calendar that I hope we’ll end up with for 2019 is the calendar that I will target going forwards, so if I’ve got more budget next year it will be to help the riders and the backroom staff as opposed to expanding, the calendar because I think this year’s calendar should be somewhere near what I believe is the right sort of calendar for a Conti team that’s trying to develop young guys. Read our preview on the team here. Part 2 of the interview can be read here.